A few moments walk from The Wilmington there is an NCP car park located just off Farringdon road. Several of the side streets in the area offer street parking. Please check parking restrictions before parking. There are a number of buses that stop very close to The Wilmington. Bus numbers 19 & 38 are the main routes offering easy access into the West End and through to Angel and East London. Weddings, Press Launches, Special Events - we are happy to work with you to make your event truly bespoke and successful. The Wilmington is available for exclusive hire, please call us to find out more. 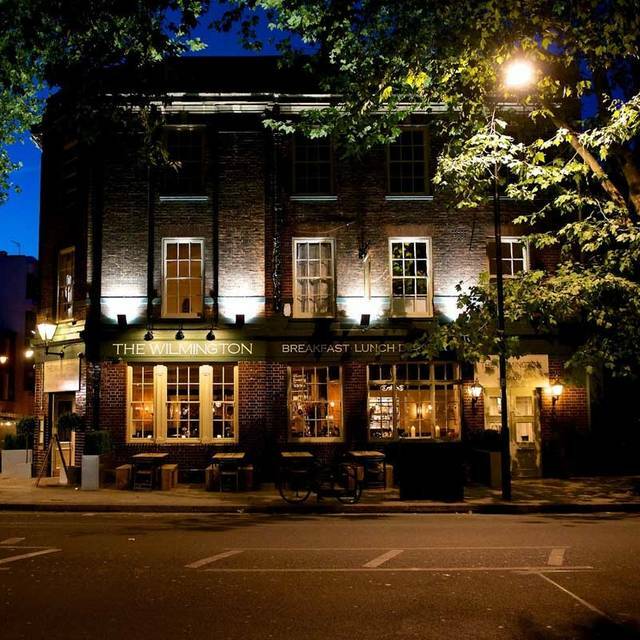 Welcome to The Wilmington, a listed 19th century public house, situated in the heart of Clerkenwell. The honesty and quality of food is very much our focus, with an emphasis on imaginative, modern British cooking, using fresh produce sourced by local suppliers. Our menus change monthly to reflect this. Our signature dishes include 6 hour braised beef ribs for two to share, and our bun & cheek - ox cheek braised in Worcestershire sauce, served in a brioche bun with hand cut chips and dipping gravy. Drinks also celebrate in our entrepreneurial spirit, with 14 draught beers and ciders, and 5 changing guest ales, with a focus on London cask producers. Highlights from our wine list include Gamay "Thirst" with a vibrant pink hue, yet striking strawberry and cranberry aromas, or the Gifford’s Hall Bacchus Vintage, from Suffolk, England, a Riesling/Sylvaner cross. This variety has a distinctive aromatic, slightly flinty quality though each season brings its own individuality. Was alright, nothing to write home about. Fish stew was reasonable but needs serving with some chunky bread so that it is actually filling. Sticky toffee pudding came so quickly I’m convinced it came out of the microwave! A very good meal it a decent price. Efficient friendly service, and a wine list that doesn't inflate the overall bill. There could be more specials on the board I guess, the choice is not fantastic. One the whole though it was a great overall experience, and I'd visit again without hesitation. A very good experience in a nice friendly pub with good food. 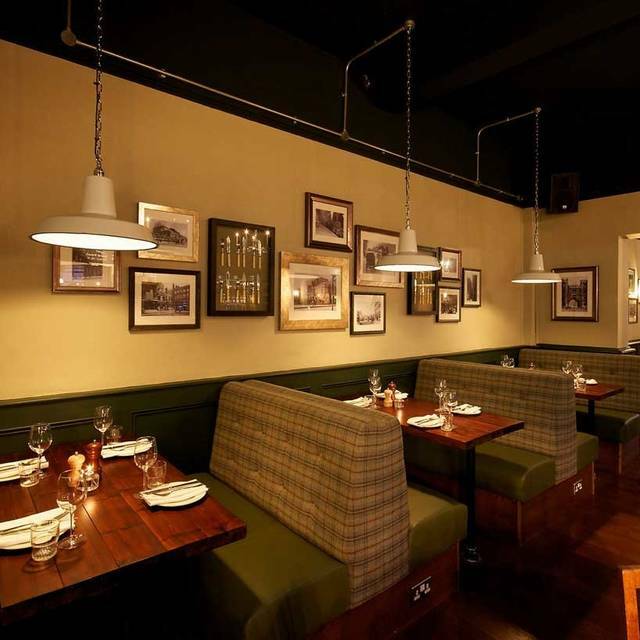 A really great Gastropub with superfriendly staff, fantastic food and such a great ambiance. Quality of food is excellent. The beef rib was so tender. Service was very good - efficient, friendly and knowledgeable. Nice decor, large airy pub. Great meal...very good food and excellent service... recommended.. Delicious food. Staff were really pleasant and had taken note of the fact we were going on to sadlers wells so made sure we ordered and were served quickly so we had enough time to eat. A vibrant atmosphere. Really nice pub. Good Sunday roast, generous portion and quality ingredients. Worth the £25 a head. Family visiting from LA who love British Ales and pub food. They were delighted with our choice and asked us to keep it in mind for next time they visit. A great place for a pre-theatre drink or meal. Great atmosphere, freshly cooked food and a friendly, knowledgeable server! Fantastic welcome, great service and food, reasonable prices. 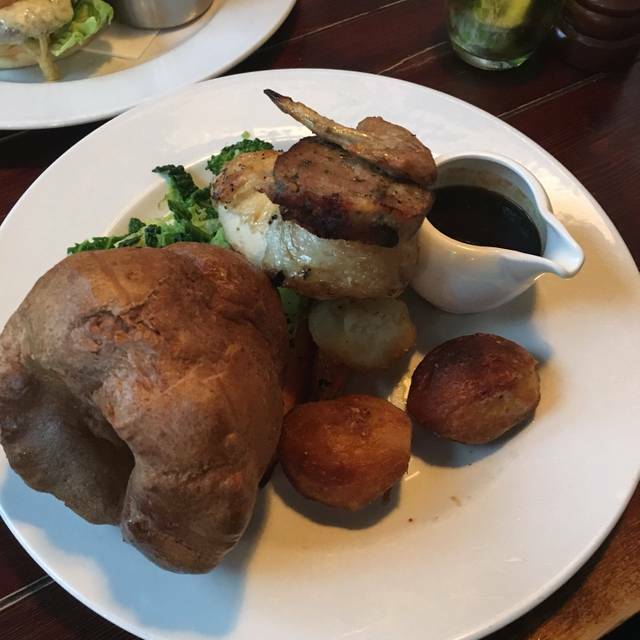 Sunday Roast was great, good meat and portion size, nice environment, relaxed, comfortable and very friendly service. The Wilmington do an excellent Sunday roast, it is a bit more expensive than some places, but the quality is worth the extra couple of quid! I would really like to try the 6 hrs cooked rib of beef next time I'm there, based on the roast lamb I had I can only imagine how nice it will be. The waiting and bar staff were very attentive and relaxed, but still really on top of their service game. All in all we felt really looked after. Highly recommend! Great Sunday roast and excellent service. Got a seat outside in the sun for a nice relaxed afternoon. Food very nice, good portions, came out quickly, fresh and tasty. The restaurant was practically empty as it was lunch time and based on the service was poor. Asked for the bill and he didn’t get it and was really hard to get attention even with all of us trying!! As visitors to London for many years, it’s nice to travel a bit out of the touristy center to a real neighborhood where this charming pub is located. Everyone on staff was super friendly & mentioned there were several tables from the US over the course of Presidents weekend. The food was really delicious. lunch consisted of bloody Mary’s, cauliflower hummus, burgers and roast chicken. We will definitely go back! Have been countless times, it's on the pricier side but worth it. Food was great, service was also. Kids are more than welcome. See you soon. A great range of real ales. Service and food were excellent, would recommend and will be going back. The place and food are good! Service is great. This is now officially my local ‘go to’ Why make all the effort to prepare a Sunday roast will all you ever need is here ! Five of us ate and three meals were really very good, one not at all good and one ok. The ox cheek burger was the best burger my friend had ever had, he said. The pig cheek ragu was also exceptional. Goats cheese and beetroot salad was also excellent. So, given these stellar dishes I have no idea why the fish and chips was so poor. The haddock was a very thin piece and the first one went back because it was literally 80% batter. The second one was also thin, but less batter at least. Chips not great, triple cooked, which I am personally not a fan of, but that’s just me. Would I go again? Certainly. I just wouldn’t order fish and chips, which was on the daily specials menu. Perhaps stick to the main menu which they have obviously totally nailed. My second visit this month - so glad we tried it!! Had a Su day lunch first time and then dinner this time - all the food was delicious, lots of good choices. The staff are all very friendly and helpful- this place has got it right!! Early evening dinner, pre-ballet, was well cooked and served in a prompt and friendly manner. 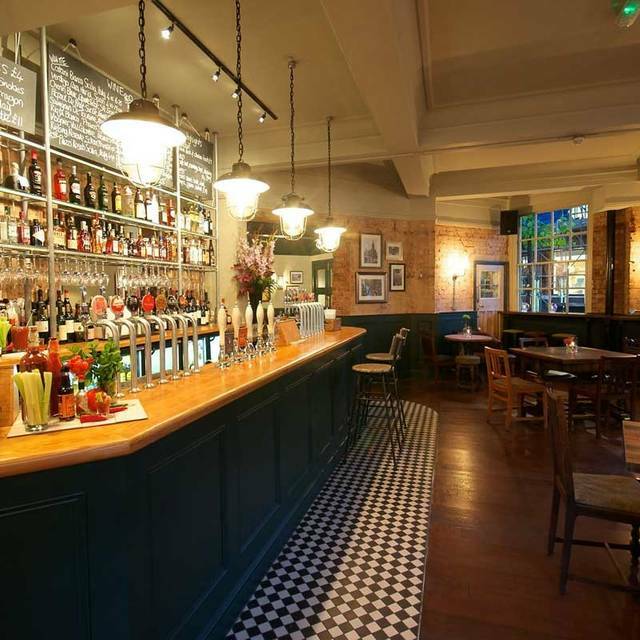 The wine list is good and reasonably priced and there is a good range of craft beers and real ales. I'm a fan of the Wilmington, whether Saturday brunch, Sunday lunch or whenever. Great service and good food before we went to Sadlers Wells and a great 20% discount too. It was really nice but I compare everything to the hawksmoor which it’s no where near as good. Food was lovely, service was great but it’s a very casual Sunday lunch. Nothing out of the ordinary. We went for Sunday lunch. Its a great place, good for groups and welcoming of families with excellent food and service. 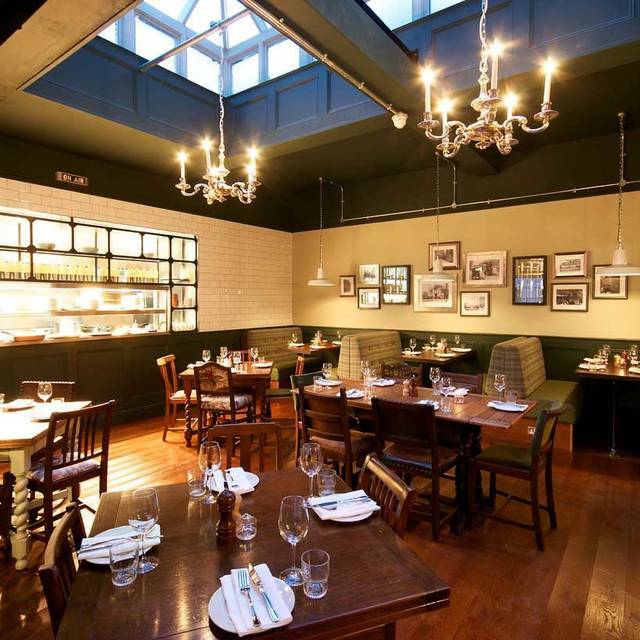 Great for pre-theatre dining before a show at Sadlers Wells and you get 20% off if you show your tickets. It was a bit chilly in the pub and not particularly busy but the staff were pleasant and the food was competently cooked with a good choice of starters and mains. As it was January there wasn’t much of an atmosphere but I’m sure this place buzzes normally. We stumbled on the Wilmington and this was such a find. At first we thought it was just a typical pub, but we were surprised to see the creative spin on their menus. The food was unique and delicious. They had tremendous specials. We had the rib-eye which was cooked to perfection along with the cauliflower hummus. Had just a delightful evening before the London New Year's eve fireworks. Staff was amazing , really polite, happy and quite festive. Meal was superb, many choices but the chateaubriand was one of the best cuts of beef I've ever had. Chips were out of this world. Very high quality food and very reasonable. Highly recommend this place. Amazing! Can’t fault it. 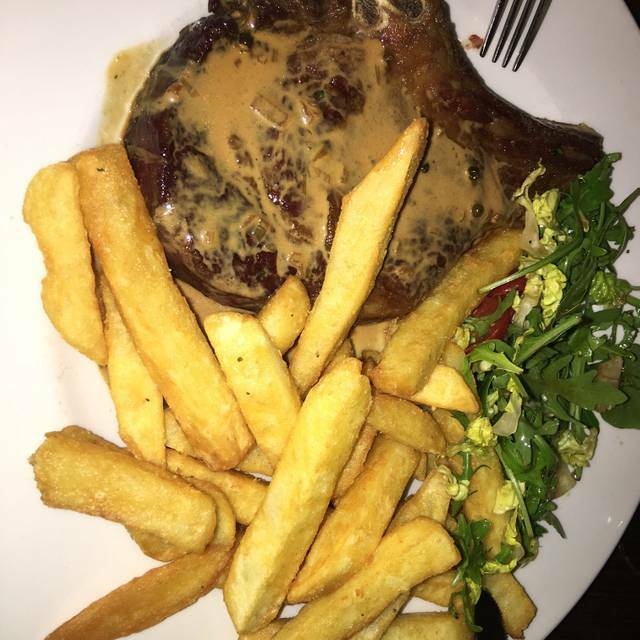 Excellent food, outstanding service and amazing atmosphere. 100% would recommend. The Wilmington is our "go to" neighborhood spot. People warned us that having a baby would significantly tamper with our active social life and they were not wrong. However, thanks to the Wilmington we can still have fun early dinners with our toddler and still feel like we are somehow contributing to the London vibe. The food never disappoints, the staff is exceptionally friendly and the kitchen is super knowledgeable and accommodating with my allergies. Definitely recommend it. Great staff, very accommodating. Good food and great service. We had a fab time! !